The first thing you do upon arriving to the island of Mykines is look up. Your eyes are automatically drawn in that direction for two reasons: 1. the ferry pulls in to a tiny bay surrounded by tall stone cliffs; and 2. that's where all the birds are. Mykines – the westernmost of the Faroe Islands (and actually pronounced “meech-ih-ness“) – is known for one main thing: it's abundant variety of bird life, which explodes during the summer months with nesting seabirds. There are gannets and cormorants and razorbills and fulmars and storm petrels and kittiwakes… and Atlantic puffins. And, for most people, the puffins are the stars of the show here. I highly recommend going by boat if you can. It's not a long ride (only about 45 minutes), and you get to sail past some spectacular Faroese coastline and rock formations. No matter how you arrive, you'll disembark near the tiny village of Mykines with its grass-thatched homes and narrow little lanes. While this was a larger settlement a few decades ago, today the village of Mykines is home to only about a dozen permanent residents. My travel buddy Steve and I meet up with a guide once we got off the ferry, went into “town” to pick up brown-bag lunches, and then began what would be roughly 3 hours of hiking on Mykines. I'm not sure why I wasn't expecting so much vertical walking when I had seen a lot of the Faroe Islands by this point (which is characterized by hills and cliffs; it's not really a flat place), but I'll admit that Mykines took me a bit by surprise! But knowing that there were puffins ahead meant I didn't mind the climbing at all. Instead of heading straight to the trail that leads to Mykines' famous lighthouse, we instead traversed through some farmland and made for the sea cliffs instead. It meant a longer walk, but also meant a greater chance of seeing lots of puffins. And we definitely saw lots of puffins! My fav photo, I think. During the summer months, Mykines is absolutely covered with puffin burrows; there was no worry that we wouldn't see enough of them. We stopped for lunch when we got to the part of the trail that leads from the main part of Mykines to the islet of Mykineshólmur (where the lighthouse is). Sadly, this is where our guide informed us that since we'd taken so long walking along the cliff while ogling puffins, it wasn't likely we were going to make it out to the lighthouse and back before we had to head back to the harbor to catch the ferry. Steve decided he would run (yes, almost literally run) to the lighthouse anyway, but I was more realistic. For one, I know I'm a very slow hiker. And for two, I also know that adorable birds around every corner make me even slower. Yup, this will slow me right down. So I only headed down the trail far enough to reach the huge cluster of puffin burrows, where I proceeded to gawp for a while at all the birds. I barely even cared that I got pooped on multiple times. How many puffins can you see in the air? After I'd had my fill of puffins and bird poop (seriously, wear a hood or hat here! ), I slowly made my way back into town on my own, with about 1.5 hours to spare before the ferry would head back to Sørvágur. Steve showed up about 30 minutes later, having made it all the way out to the lighthouse with time to spare. I was a little irked that our guide had made it seem like we had no time left when in fact we'd had plenty; I probably *could* have made it out to the lighthouse and back with no problem. But oh well. I'll have to just admire Steve's photos and vow to return to Mykines someday to see the lighthouse for myself! Steve and I headed into a little cafe for some coffee and snacks while we waited for the ferry; even though only a dozen people live on Mykines, it does a fair job of catering to tourists during the summer months. There's even a small hostel on the island if you want to stay overnight! Overall it was an incredible day on Mykines; it will probably go down as one of my favorite travel days of 2017! GETTING THERE: During the summer months, ferries run between Sørvágur (on Vagar) and Mykines daily when the weather is good. Currently they run to/from Mykines twice per day. GET A GUIDE: New regulations on Mykines now require people to hike with a guide in order to try to preserve the environment for the birds. WHAT TO WEAR: I definitely recommend layers – and waterproof/windproof ones if you have them! Even in the summer, it will likely be blustery and chilly on Mykines – a hat isn't a bad idea, either! I also recommend good hiking boots, sunscreen, and a camera with a decent zoom so you can get great puffin photos. 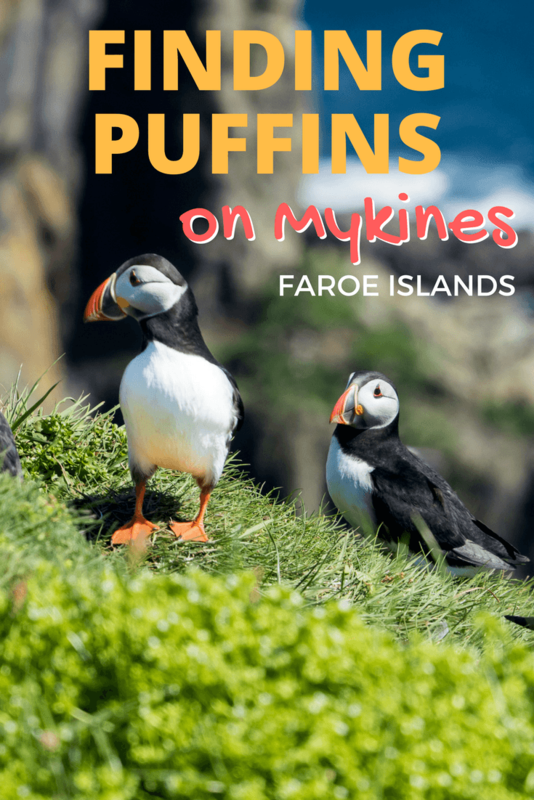 WHEN TO GO: While you *can* visit Mykines outside of the summer months, the puffins only nest here during the summer. It would still be a beautiful place to hike in other seasons, but the puffins were definitely the draw for me. Who's ready to book a trip to Mykines? Note: This post was brought to you as a result of the #MyFaroeIslandsHome campaign, created and managed by in partnership with . As always, though, all opinions are 100% my own. Yes, they do eat them in several countries (I saw them on lots of menus in Iceland). I think they’re way too cute to eat! In my childhood, a cartoon serial used to watch and in that, there are birds which look like the same as in these photographs. This amazing Island looks great, want to explore it but there are lots of things to explore in this World and we can’t see them all. Nope, we definitely can’t see everything – but I’m definitely glad I got to see these puffins! OMG! ‘Love puffins, especially in the top photograph above. In fact, when I was a child, I used to belong to a puffin club. A puffin club?! That sounds awesome! Wait, what? 14 people? That’s crazy. But then I wouldn’t mind if I was surrounded with such majestic views and cute birds. Ugh. They’re so cute. They almost look like smaller penguins. I hope you had a great time on your visit! Yup, only about a dozen year-round residents! It’s not a place I could live long-term, but it was a great place to visit! Yes, summer is definitely the best time to visit the Faroes. More things are open, the weather is better, and the puffins only nest in the summer months! Haha sounds like a sign to me! 🙂 Mykines was such a cool place. My only regret is that we couldn’t have spent more time there! would love to explore this place through boat as the scenic beauty of this place is speechless. Hope to make it soon. They are indeed pretty fast! I loved watching them fly around – they flap their wings so fast! Hi! How long is the hike to the lighthouse approximately? I read everywhere 4 hours, but is that one way or return? Hopefully! 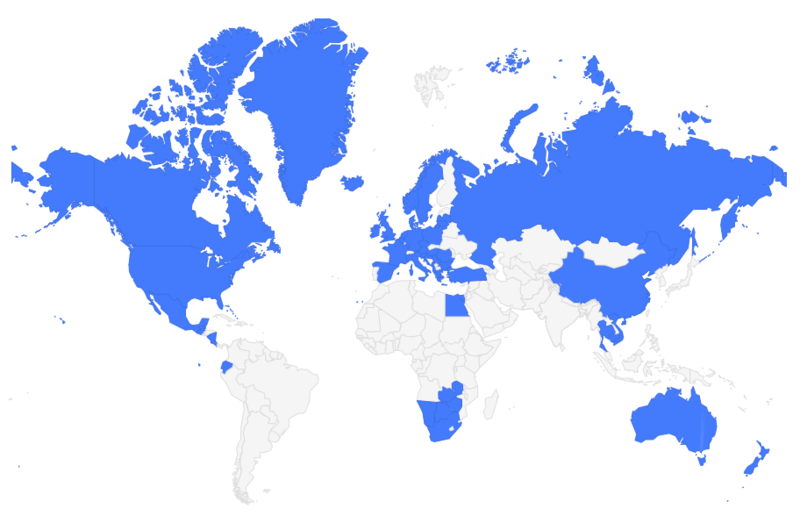 It’s such an amazing destination, and still feels a bit undiscovered and exciting. У нашей организации важный веб портал с информацией про заказать оптимизацию сайта.